It’s been nearly two years in the making, though backed by over twenty five years of experience; last month we successfully launched the “Think-Forward” Business Management Toolkit. Designed specifically for Directors and Senior Managers to implement strategy and drive business performance improvement. Based on the four pillars of the Business Excellence Model, Strategy, Operational Process, Learning and Development and Performance Management the “Think-Forward Programme” provides a framework for consistently driving performance initiatives throughout the business, thereby improving growth, customer satisfaction and increasing profitability. The Programme may be used in isolation or in conjunction with any other business development initiative that the business uses. If you would like to know more and how it may benefit your business, then call today for a no-obligation discussion. This week, Accounting Web ran the news story that Conviviality, one of the UK’s largest drinks wholesalers, had entered in administration. “The business has been in a death spiral since the beginning of March, when the retailer said its adjusted EBITDA would be 20% lower than the £70m market expectation. The company later confirmed an expected range of adjusted EBITDA of £55.3m – £56.4m. I think that there are a few items from this news story that are worthy of pondering. Initially I groaned at hearing that, once again, a spreadsheet error had caused a major problem. To err is human but to really foul up requires a computer perhaps, but, garbage in = garbage out. It left me pondering how as to how many critical processes within this large business were run on spreadsheet, were all the data feeds into the ERP/MRP systems spreadsheet based? That risk element should of course be covered in the process section of the Risk Management Framework; it’s the bright ones that pick that up. If I put the above comments aside, my next thoughts were about reporting and budget variance. As a Senior, would you not want to be diving into the nuances of any variances and I do mean deep dive and then wanting answers and a remedial plan? ; I’m assuming that the Chart of Accounts bore some semblance to the trading Organisation structure; the KPI’s , they are the control loop aren’t they? Where were the voices from the rest of the team when looking at the Dashboards or Scorecards? Next up was the announcement that there was no provision for the £30m tax bill, was this also a reflection on poor reporting and consequential action or an evasion of a financial cash black hole that the Directors wanted to keep covered up? ; there would have to be a lot of people in that party, to sweep that one, under the carpet. My final thought was regarding the AIM share price collapse. Initially I thought “typical short term investing and vision again” but then I thought perhaps not. The collapse has undoubtedly left many with a huge loss, not least HMRC- my question is “who has defrauded who? is this competence displayed in the free market, in that the financiers are running from risk, or is it a reflection of incompetence, in both managing the business (clearly) and a lack of foresight to rally around it to support it following a massive blunder? ; easier to take the hit and move on to the next business that my trading dashboard lights up as green. Where do you stand, what are your thoughts? A few years ago, I was lucky to meet a Gentleman; lucky, because I think that, in the passage of grey hair that I’ve acquired, I haven’t met many, and this man resonates with my soul. He’s called Ted, Ted Welch, an East London man, now 76 yrs age, who grew up in poverty and austerity and built his own successful garage business in Leytonstone to employ over 15 men and one of who’s proudest moments was to collect the Queen’s Rolls Royce from Buckingham Palace in London and deliver it to the Royal Yacht Britannica, in Scotland. The same man who, he tells me, used to look out of his school window and fret when the rain came down because his shoes had no soles and he used to slip sheets of paper into them so that he could walk home without his feet becoming wet. There are of course,and I say that without sanguine, many such children the world over who have passed along the same footpath (sic) as Ted; I was lucky, one of the fortunate I guess, my father and family were comfortable, a position which today I respect and admire my father for, and along with that, question my own ability, to reach his standards. In measuring my success or failure, I try to imbue the lessons learnt into my own two boys, my treasures as I call them, but as I write, why the soliloquy about Ted? -Well, perhaps a little context. We have a lot to learn from the older generation. I’ve recently finished reading a book of short stories by the late A.A Gill, more anon, and he writes with piercing truth about how we engage with our elders, or rather fail too; we have a lot to learn as we travel, in our so called, modern, society. Ted brings it home to me when I talk to him; it’s not a high brow philosophical discussion about the temporal things or the topical discussions about Brexit, the dollar exchange, the Bosnian crisis or even what even Bernini was thinking when he sculptured his Damned Soul, it’s more grounded, more tangible, more real, for me.” Have you spoken to you Mother this week? The questioning comes with a jolt sometimes. I’ve commented before, on the desire to wear the latest fashion icon, drive the latest car and wear the sharpest suit, perhaps it’s my older age where the “stuff” just doesn’t matter any more and a sharpness of focus is acquired about what really is of value in life. I often leave visiting Ted with a sense of Xmas future, wondering and questioning if what I do in my Consultancy practice is indeed of value, if indeed I have led, enlightened and bettered those that I serve? ; I hope that I do, I try to; I hope that one day, I too, can perhaps, in my own vain, egotistical way, be also looked up to as one who tried to be a Gentleman upon this earth. 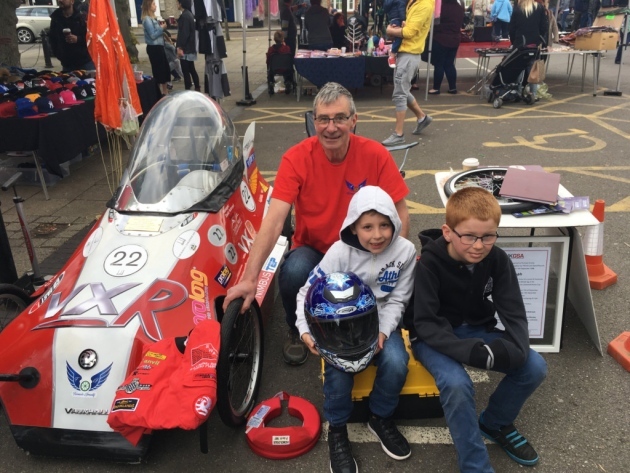 A number of years ago I was approached by a local Technology & Design teacher, David Ackroyd, (brother of John Ackroyd, the Thrust SSC designer) seeking sponsorship to build a Gravity Soapbox race kart; the objective was to encourage students into engineering. Along with other local companies, I duly obliged and the result was the “Nimbus”, rather generously, named after my own business, which, when it wasn’t out racing or at school, we proudly displayed in our reception. The kart went onto gain sponsorship from Vauxhall Motors, was raced at Goodwood, featured on C5 “The Gadget Show” and shown across the UK gaining, along the way, the land speed record of over 100kmph at Eastborne, a record still held today. I caught sight of the local news recently and delighted that David’s idea has flourished, his partner suppliers has grown and the number of schools now involved exceeds over 200. I grew up surrounded by boxes of Meccano and the sounds of Mothers exclamations as she hoovered up yet another set of misplaced screws from the carpet. Today my love of all things mechanical and engineering based is undiminished and from a commercial and economic point I see the need for engineering and manufacturing support with equal passion. If your local school or perhaps your own business, would like to get involved, then I’m sure that David would be delighted to hear from you. So who would like a laugh at my expense? On Wednesday I bought a new pair of slippers – nothing of particular interest except that they were too tight. Quick check of the label said they were my size- “I’ll let them stretch a little”.. but alas it soon became apparent that they had been incorrectly labelled. I mused whilst standing at the returns desk as to where in the manufacturing process the error had been introduced. At this point I must have had brain fade because I exchanged them for the next size up-logical right? Nope! I now flip flop around the house with a pair that are too big. So a lesson for Carr – back to Go, past QC, do not collect £200, and remember to collect your books on SPC on your way there lol! I guess the lesson learnt is don’t assume that you know root cause and propose a solution until you know all of the facts. Anyone want to buy a nearly new pair of slippers – size extra-large? 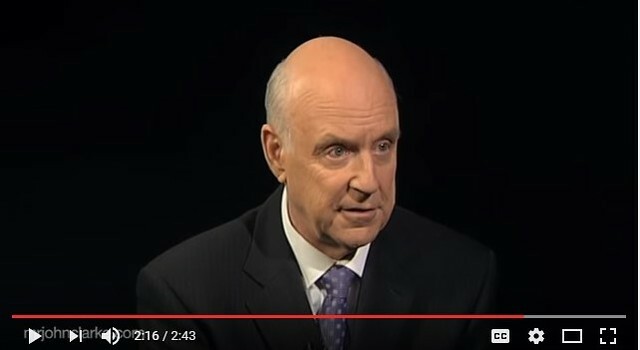 Well no sooner had I posted the previous short piece mentioning the brilliant satirist John Clarke, then news reached me that he has died . Apparently whilst out bush-walking in Victoria he died from natural causes . He was aged 68. Thank you John for your brilliance and humour. RIP. So today, our Prime Minister, signed the letter that will inform the EU of our intention to leave the European Union. The events leading up to today have been a colourful twist of hyperbole, dis-information, naievity and political snakes and ladders inter-twined with cliques and cabals, a play out, worthy of the Bard himself rising to script this masterpiece for the 21st Century. Where it leaves us, is firmly in our own hands, the ultimate in self actualisation in a global economy we’ve done it before and delivered handsomely, albeit we might need to blow the cobwebs off that particular book. We now have a different generation at the helm of GB PLC, one unfettered by constrictive practices and a recalcitrant workforce. As a lean advocate, I think that stripping away bureaucracy and maybe even walking away from toxic EU debt cannot be anything but a good thing and it has certainly forced a re-think of strategy. I’ll leave with a more light-hearted perspective at the European position as admirably discussed by Clarke & Dawe. – Enjoy!